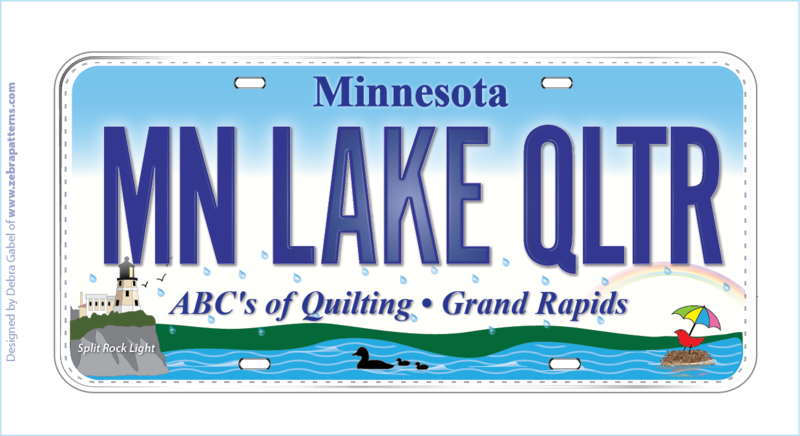 The ABC's of Quilting 2015 Row by Row Experience ShopHop license plate. Each fabric license plate is approximately 8 inches by 4 1/2 inches. These fabric plates are unique novelty printed fabric panels that can be added to any project, tote or quilt.